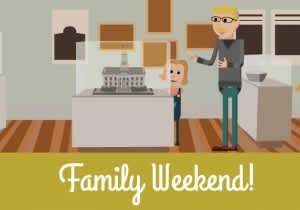 Join the Old Capitol Museum and the UI Museum of Natural History for our annual Family Weekend! 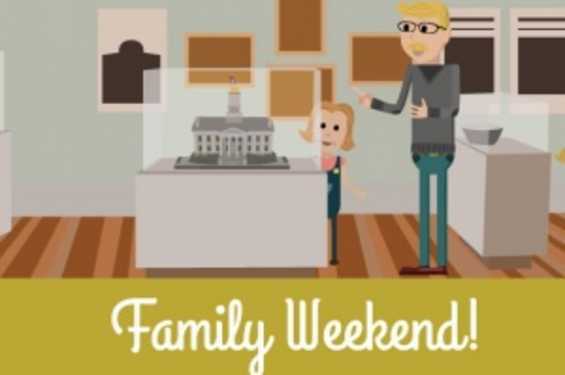 Kids will be able to enjoy many crafts and activities that relate to our current exhibits, Faces of Iowa Through the Early Lensand National Geographic Photo Ark, and the University of Iowa’s theme semester, Climate for Change. Come and try your hand at some eco-friendly, fun crafts! Hands-on activities will include Animal Bingo, Milk Carton Bird Houses, Recycled Rainbows, Egg Carton Animals, Animal Sun Catchers, Herkie’s Scavenger Hunt, Scratch Negatives, and Sunny Cyanotypes. We will also have pop-up recycling in Iowa Hall. Saturday & Sunday will also feature a special showing of WALL·E, the story of a space-travelling, recycling robot.